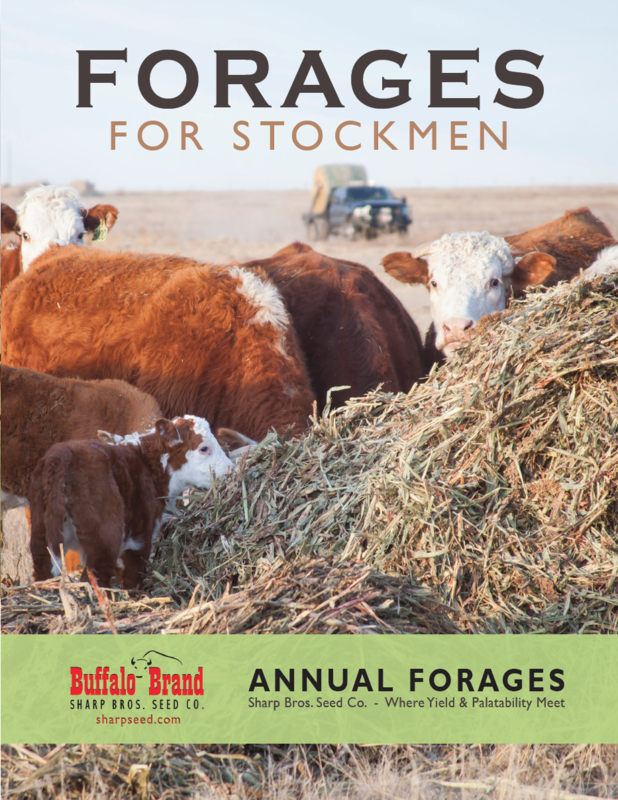 Forages & Grains - Warm Season Forage & Grain - Sorghum Sudangrass - Sharp Bros. Seed Co. These hybrids, resulting from a cross of sorghum with sudangrass are best suited for in season grazing or multi-cut haying or haylage (immature plant silage). Excellent regrowth after clipping. Excellent seedling vigor. Somewhat better iron chlorosis tolerance and slightly better cold seedbed tolerance than forage sorghum. Minimum germination soil temperature of 60 degrees and rising. Maximum planting depth 2 ½ inches. Late season leaf retention is poor compared to forage sorghums, making sorghum sudangrass less suited for post season grazing or mature plant silage.